We’re Having a Party . . .
Got the FJ Cruiser all packed up with gear. 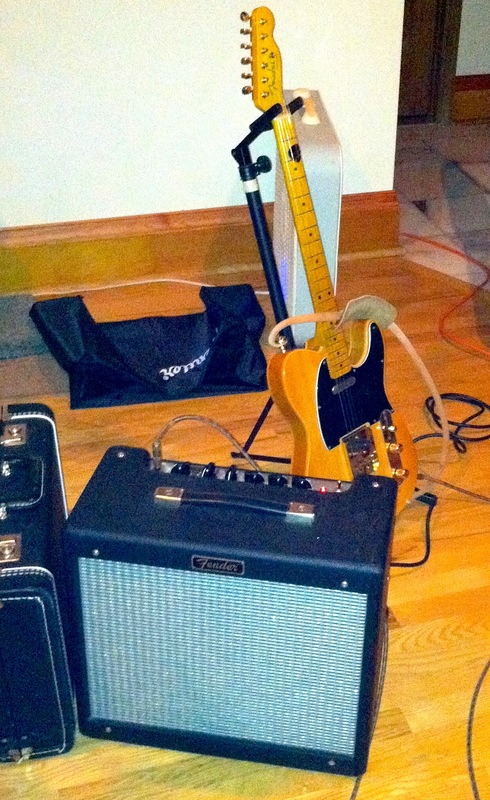 In addition to the stuff shown, which is my rock/rockabilly/Bakersfield country rig, there’s my ’51 Reissue Fender Precision bass, D-41 Martin acoustic, spare amp (Fender silverface Vibro Champ), my trusty Shure SM-58 mike and stand, essential cables and other little goodies. Dave Martin is having his 23rd Annual Adelphi Music and Arts Festival this afternoon and evening, and the weather is certainly cooperating. Live music will be going on from about 3pm till midnight and there’ll be a wide variety of music; from authentic Islands reggae to Flamenco to classical to rockabilly and Appalachian folk tunes. We always look forward to this event and have a lot of fun. Yee-hah!! !